The 2017 vintage will be remembered as a long and hard season, and brought back some memories of the 2011 vintage. Coming out of winter was looking like the best start to the season we have had in years; creeks had been constantly flowing, soil moisture levels were high and plenty of ground water recharge had occurred. Bud burst occurred on par with the past couple of seasons and was relatively even, and with high moisture levels there were no significant frost events. 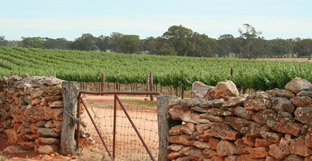 Early growth of the vines was excellent with ample soil moisture to fuel good even and balanced growth. Spring was one of the wettest on record, with constant nearly weekly rainfall events making disease control very difficult. Adding to this was the milder temperatures which fuelled higher vigour in the vines than the past couple of drier seasons. The cooler and wetter conditions of spring led to a late and extended flowering period, leading to quite a bit of variability in bunch ripeness going into Harvest. 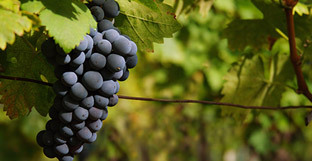 Drier conditions returned in February and March which allowed for good even ripening of the fruit, with flavours, tannins and baumes developing well especially in Cabernet Sauvignon, which benefited from the absence of any significant heatwaves. Harvesting of whites commenced in late February, a few weeks later than the past two seasons, but more in line with long term average. With favourable weather conditions, harvest continued into mid-March with the whites showing strong varietal characters, and high crisp natural acidity. The bulk of the red harvest didn’t start until April and this coincided with the return to wet and cold conditions making harvest very intermittent and drawn out. 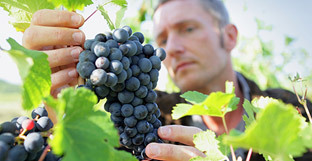 The early harvested fruit is expressing the strong varietal characters that were seen on the vines, but the cooler wetter conditions made it more difficult to concentrate flavours in the later picked fruit. Despite the tough season the hard work and effort put in by the growers in the district has again paid dividends with very strong and varietal red wines being produced again this season, with Cabernet Sauvignon being the standout.